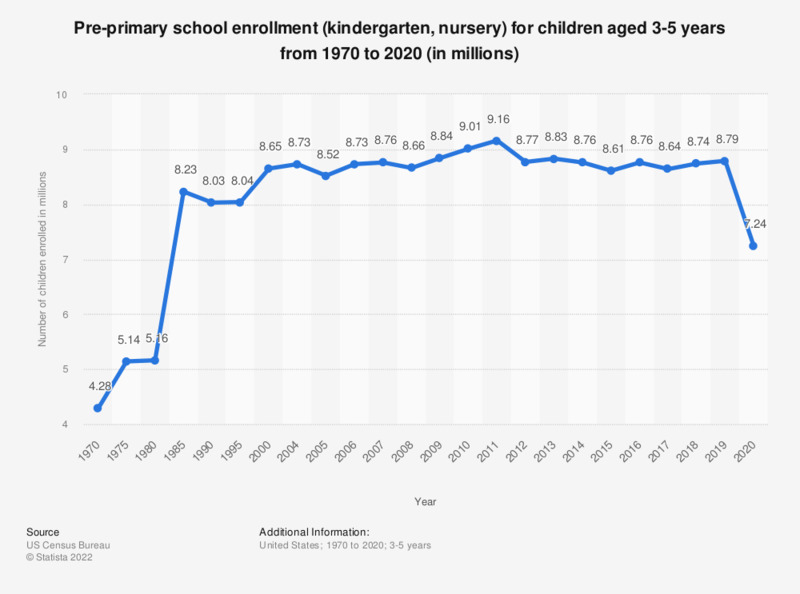 This graph shows the number of children enrolled in pre-primary school institutions (kindergarten or nursery) in the United States from 1970 to 2017. In 2017, around 8.64 million children were enrolled in nursery or kindergarten programs in the United States. Includes public and non-public nursery school and kindergarten programs.